On January 7th, Britain’s Guardian, which used to be a fine newspaper but isn’t now, started what will necessarily be a long road back to reality, after nearly a year of their intermittent inattention and Western propaganda on Ukraine — finally realistically reporting the war there as being what it is and always was: an attempt by the post-coup Ukrainian Government to destroy the area in Ukraine where the residents had voted 90% for the Ukrainian President who was overthrown in the February 2014 coup. Oleg Orlov headlined “Ukraine’s Forgotten City Destroyed by War,” and he described a city in ruins from the intensive bombings during July and August. Though most of his article avoided the key question as to which side was to blame for this, no one can deny that the invaders here were the Ukrainian Air Force and Army, and that the defenders were troops of irregular fighters who lived in the invaded region. So, anyone with an IQ above 50 would have no difficulty figuring out that the Ukrainian Air Force and Army were to blame for bombing this city — that the Government was bombing and trying to exterminate the residents there while claiming to be their rightful Government (and which Government still remains supported by the West in that war against the former Ukrainians who live, and have always lived, there). However, again, only a fool would think otherwise. The situation is hard for propagandists such as the Obama Administration to even refer to. It should also be pointed out that when Orlov asserted that, the rebels’ having “set up camp not only on the outskirts of the city but also smack in the centre” was “goading the Ukrainian forces into firing on Pervomaisk,” he was saying that even merely defending the City constituted shared responsibility, along with the attackers, for the City’s having been destroyed. This is like saying that a woman’s attractiveness constitutes her shared responsibility for her having been raped by her attacker. He ignores this reality: The Ukrainian Government was blocking aid convoys. The Government is trying to starve the residents there to death. To blame Russia for any of that failure of food to reach the starving is obscene. But at least this article by Orlov is a start. That’s more than one can yet say for such newspapers as The New York Times, andWashington Post — or any in America. After all: It was Obama who installed the current Ukrainian Government. David Cameron did not. If the business of journalism is to cover-up for one’s own Government’s international crimes, then newspapers such as The New York Times, and Washington Post are authentic journalistic institutions, not mere propaganda-organs. But the Guardian is making a step away from that type of ‘journalism’ — at least to the extent that Britain is partly responsible for the February 2014 Ukrainian coup, which is a very small extent. Perhaps that’s why the ‘news’ media in Britain are a bit freer to report the truth of that war than ours are. 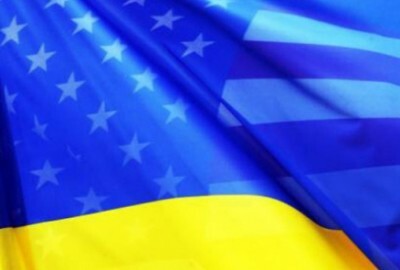 Only in America is the lying by media about Ukraine’s war so pervasive. That’s because it’s basically America’s war, even though the American public is overwhelmingly opposed to it. The American Government serves the American aristocracy — no longer the public. Maybe the British aristocracy don’t hate Russians as much as America’s do; but, for whatever reason, they’re not so committed to the destruction of Russia as Obama and the American aristocracy he represents are. That American aristocracy control America’s ‘news’ media, but they fortunately do not also control Britain’s. If one reads the American press about Ukraine now, after the coup, then one is reading lies, distortions, and propaganda: myths, not history.